It’s amazing the ways in which people can be brought together – usually, by the simplest of ideas. 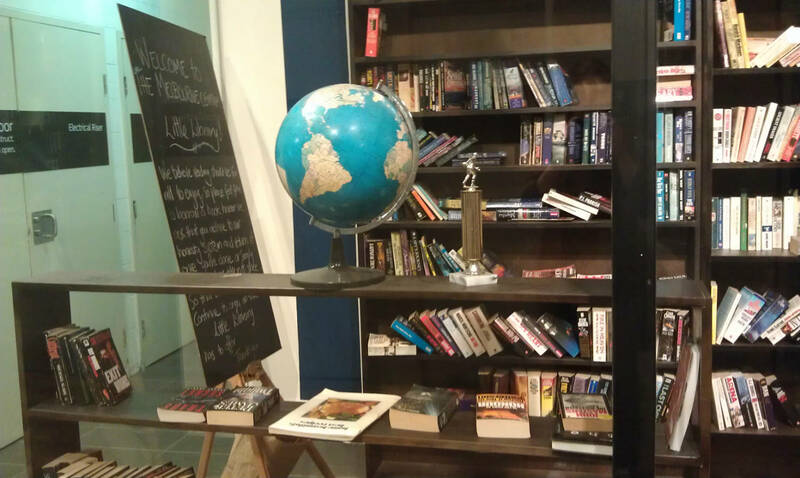 Wandering through Melbourne Central a couple of weeks ago during my lunch break, I discovered what appeared to be a small bookstore, tucked away in a cosy little nook of the Corner Precinct. It has captured my imagination ever since. It turns out that this little nook is not actually a bookstore, but instead the Melbourne Central Little Library, a community initiative set up by the centre’s management in July. The premise is simple – anyone is welcome to come in, read a book and borrow it to take home, so long as they leave a book in its place. 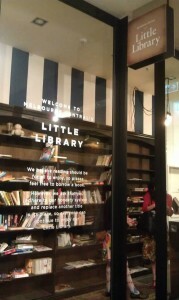 Designed with an old-world feel, the Little Library is full of pre-loved books – instantly, I felt myself drawn in. The idea has been inspired by a movement over in the UK, where old telephone boxes and birdhouses have been transformed to house books. These Little Libraries are now being set up all over the world. 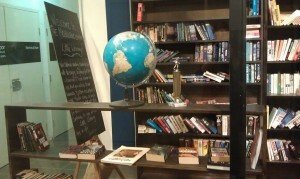 It’s a wonderful way of preserving and recycling old books – in just two weeks, there were over 500 secondhand paperbacks exchanged at Melbourne Central, proving that in spite of the current shift from printed books to digital media, there will always be a place for the paperbacks we know and love. The idea actually reminds me a little of BookCrossings, a similar concept begun in 2001. Through the BookCrossings initiative, book crossers read a book, then leave it in a public place for someone else to find. The finder then reads the book as well, then ‘releases’ it back into ‘the wild’ again. I was introduced to this idea back while I was still studying, when a fellow student handed me a book that she had found in one of the classrooms. The cover was complete with a label and a BookCrossings tracking number, which allows you to see online the journey that your book has taken before it has reached you. It really is amazing to see where some of these books have been, the lives they have influenced. This particular book that I received, for example, was a dog-eared copy of How to Make an American Quilt. It had been first ‘released’ a couple of years beforehand, a few suburbs away. Found outside a motel, it had then been given as a Christmas present, before finding its way to our classroom. Incredible! The BookCrossings website also has a section which details where books have been released, so that you can go out and ‘hunt’ them for yourself. How exciting! – and what a nice way of giving new life to old books, while also bringing people together and getting them excited about reading again. There is a nice serendipity about it – the way that you may leave a movie ticket for someone to find at a bus stop, or the way a disposable camera may be left on top of a mountain for anyone who reaches the top to take a picture with. You can read more about the Melbourne Central Little Library here, or at The World Loves Melbourne.